As the air becomes crisp and the leaves begin to descend, we know it is that time of year — fall is upon us. With the shorter days and cooler temperatures, the great indoors becomes an inviting place to cozy up for longer periods of time. When we speak of coziness, it is nearly impossible to not think of our beds, where we can snuggle up under the warmth of our covers. Without the right bedding, however, we may not feel as comfortable as we would like. Fall is an optimal time to switch up your bedding to something that both keeps you warm and looks great with the season’s aesthetic. In this article, we will give you some great tips and inspiration on how to choose the perfect fall bedding and point you in the direction of some beautiful and cozy fall sets. For the fall season, a few bedding materials really stand out among the options. Designer Living has many options to choose from for these comfortable and eye-catching bedding sets. Chenille is a material made from long rows of fabric or yarn which are tufted and give the material a unique texture and feel. Chenille is actually French for ‘caterpillar,’ and the name comes from the feel of the fabric. This fabric has been around for many decades and has recently come back into style. 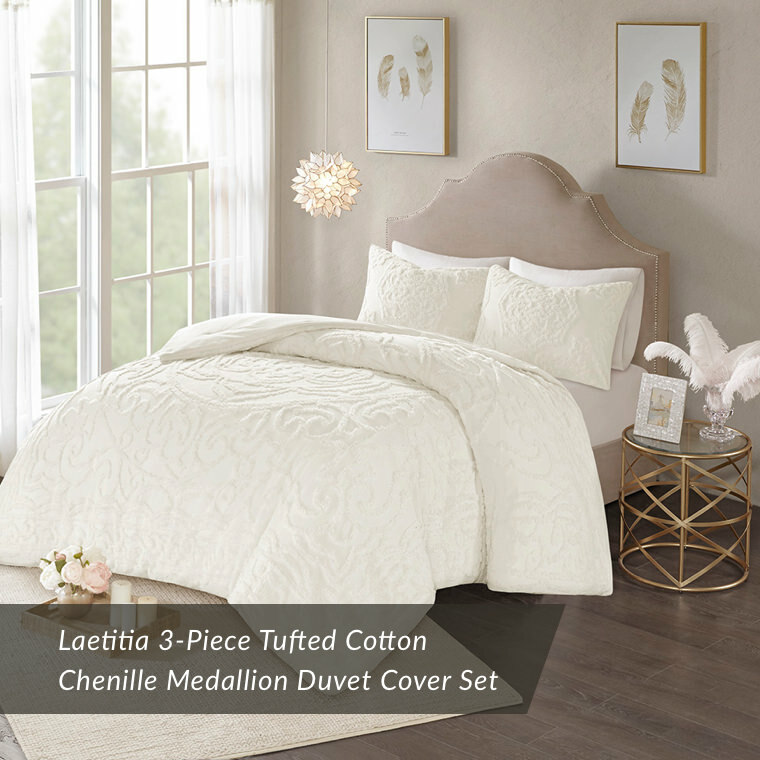 We love chenille bedding because its soft texture brings warmth to the bedroom both through its appearance and because it is a cozy fabric to snuggle up under. The Designer Living website has many options for chenille bedding. Faux fur is such a wonderful material and it absolutely bursts with coziness. It is extremely in trend right now and for good reason: Faux fur is affordable, beautiful, comfortable, and it is an eco-friendly alternative to genuine fur. Faux fur comes in a variety of lengths, so you do not necessarily need to go with an ultra shaggy-chic look to enjoy the softness and textural benefits of this material. 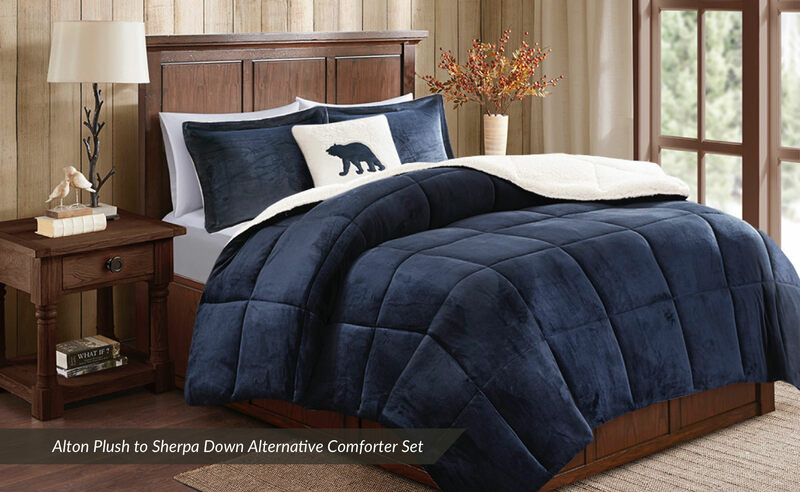 Designer Living offers full faux fur comforter sets as well as a variety of throws that can be draped over the foot of your bed. This fabulous material is not just a great choice for a soft fabric; its style also brings beautiful texture and warmth to any room - making it a fantastic fit for fall. Plush is a fantastic material comprised of light microfiber fuzzy fleece. This ultra-soft fabric has coziness written all over it, and Designer Living has many plush bedding options from which to choose. From sheet sets, to heated throws, to comforters, there are multiple ways to incorporate plush bedding into your fall bedding scheme. Plush brings luxury into your home without breaking the bank, making it a great budget-friendly seasonal fabric that adds comfort as well as a touch of class to your bedroom. Designer Living offers a wide array of heated throw blankets in a variety of available fabrics, colors, and sizes. Heated throws are a highly practical fall bedding idea because they can be draped over your existing bedding to create an entirely new look and add a ton of warmth to your bed, just as pillows do. 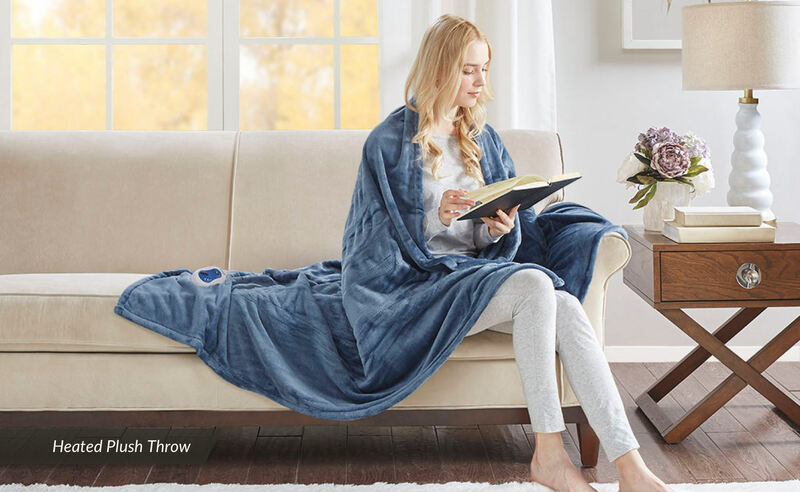 When the chilly season is over or you are ready for a change in decor, simply remove or switch out your heated throw for something different and more seasonally appropriate. Our heated throws feature the latest Secure Comfort technology which reads the temperature of the room, the overall temperature of the blanket, and spot temperatures and adjusts heat accordingly - ensuring that you stay warm but not too warm. Down alternative comforters are gaining popularity among consumers and bedding experts. They come in a variety of different fill materials, weights, and sizes. Down alternative comforters are fantastic fall bedding ideas and are one of the best comforters for winter too, as they keep you warm without triggering allergies or using any animal products. These eco-friendly blankets offer many of the benefits of down without the high price points or inhumane fill material. Fall is a fantastic time to shop for a new comforter, so be sure to check out our entire selection of down alternative comforters available at Designer Living.